for the modern financial advisor. Compliance hinders creative marketing. 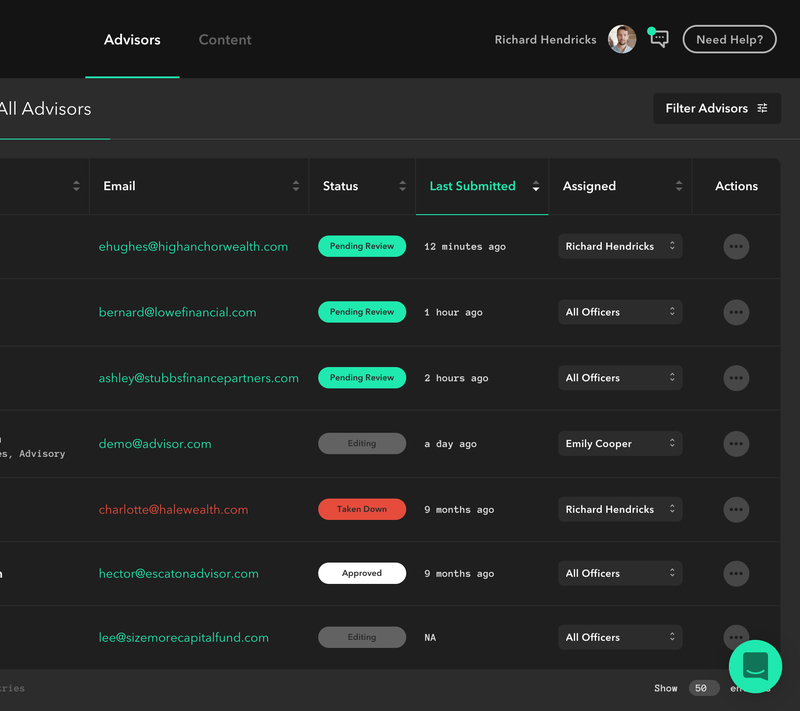 We solve the problem by empowering financial advisors everywhere to create, manage and archive their websites with ease. Trusted by industry-leading financial advisors. Try it for free, your first 14 days are on us. All of our frameworks are created with a mobile-first approach. Through our platform users can create websites that are optimized for all devices. Free, automatic SSL certificates for every website. Easily secure your visitors' connection to your website and boost your ranking in Google search results. We automatically archive every change you make, giving you access to a private website URL and print-friendly documentation to view at anytime. Manage your content when it's right for you. Our seamless dashboard allows you to edit & customize your website in a snap, without touching any code. Get the help you need, fast. Chat with one of our dedicated support specialists or utilize our robust support center, which includes extensive training guides and tutorials. Behind every one of our rock-solid websites is a powerful dashboard to create and edit your content. 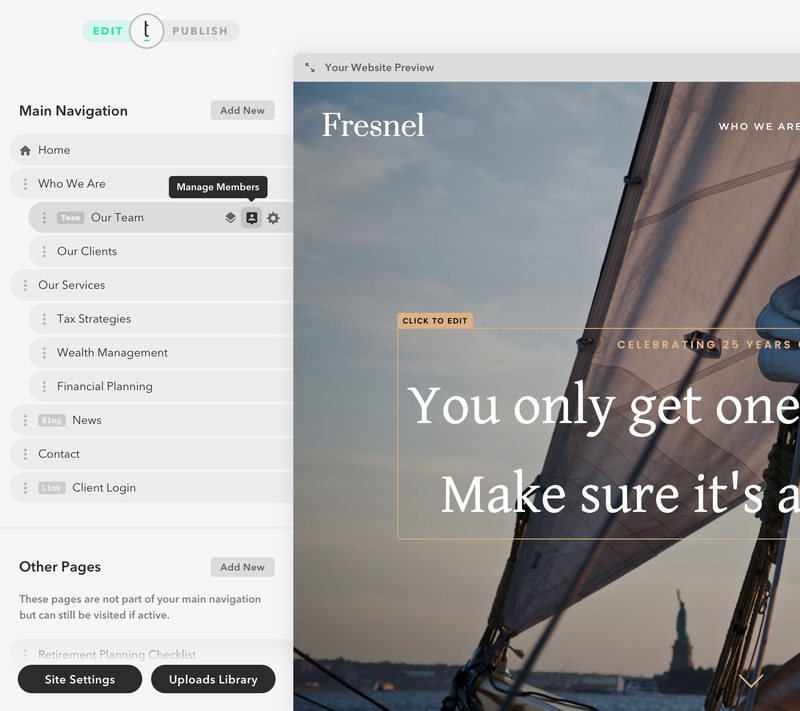 Our Providence platform offers complete control over the lifecycle of a website. Compliance has never been this easy. Join our newsletter to get useful tips & valuable resources delivered to your inbox monthly! Join the fastest growing and most cutting-edge website platform for Financial Advisors.